I use a lot of IT Cosmetics skin care and makeup. The coverage of its foundations and concealing products is simply unparalleled. If you&apos;ve been wondering what the buzz is all about or if you&apos;re a brand loyalist and want to stock up for spring/summer, you&apos;re in luck. The IT Cosmetics Friends & Family sale begins tomorrow through April 19th, with 20% over any $30+ order. 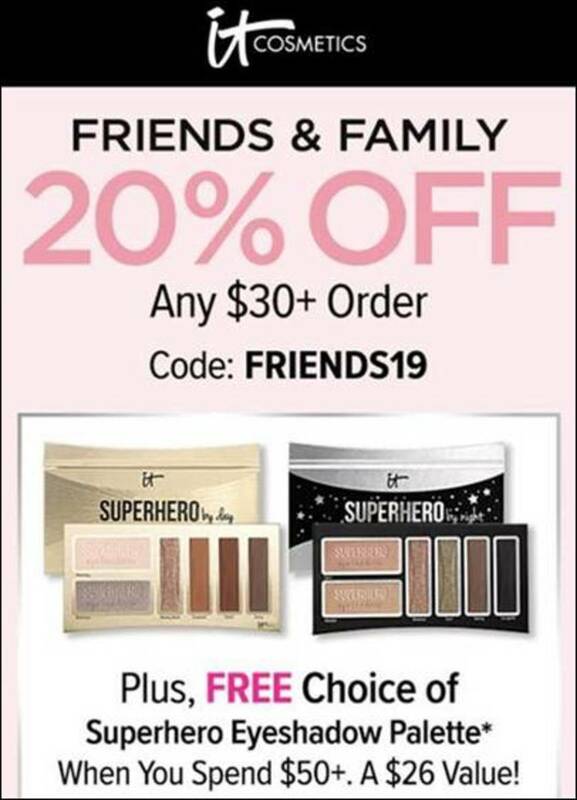 You can also score a Superhero Eyeshadow Palette when you spend $50+. I highly recommend Confidence in a Foundation and Confidence in a Gel Lotion. I wear the lotion almost every day. It&apos;s the perfect lightweight moisturizer to use before I work out.